There were no baseball games on April 1 at Jayhawk due to field conditions, but the Jayhawk and Pleasanton softball teams still competed. The game was the Lady Hawks’ home opener, and it was a good one for Jayhawk as they dominated both games 17-2 and 19-1. 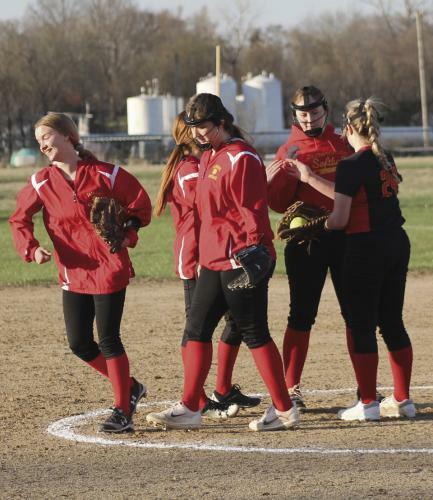 The first game started with a bang for the Lady Hawks as they led 8-0 after one inning. The Lady Hawks scored one in the second to make the score 9-0, but then the Lady Jays got on the board with two runs in the third. This made the score 9-2 after three innings.